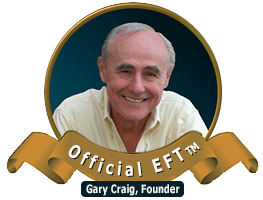 When I first brought EFT to the public in 1995, its results were often astonishing and soon got the attention of a worldwide audience. Pains subsided and emotions were relieved, often in minutes, and without the use of drugs, surgeries or other invasive procedures. ... It was as though I had introduced a bicycle to a therapy population that had spent decades walking from issue to issue.... Read more: Are You Riding the EFT Bicycle?